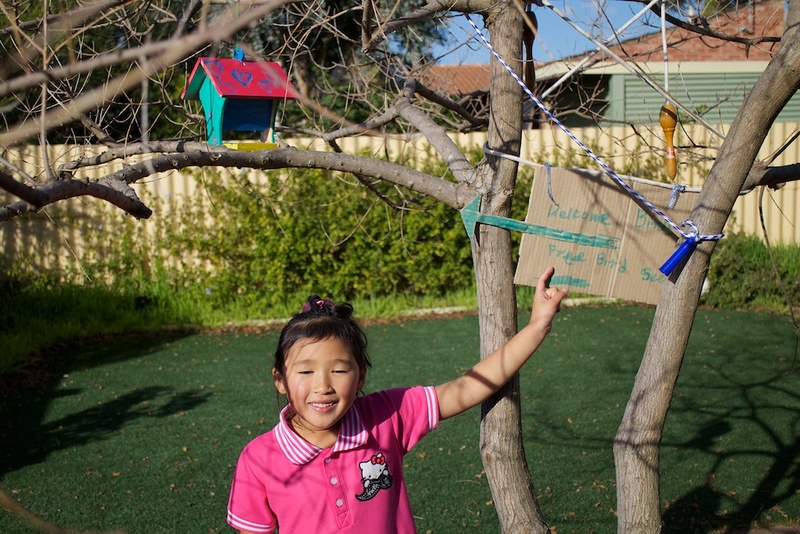 Granddaughter A and her dad built the bird feeder, and A brought it to our garden to feed the birds when visiting during her school holidays. When the birds didn't take notice, she decided to advertise. The sign says "Welcome Birds. Free Bird Seed". Now all I have to do is run a literacy course for the birds.